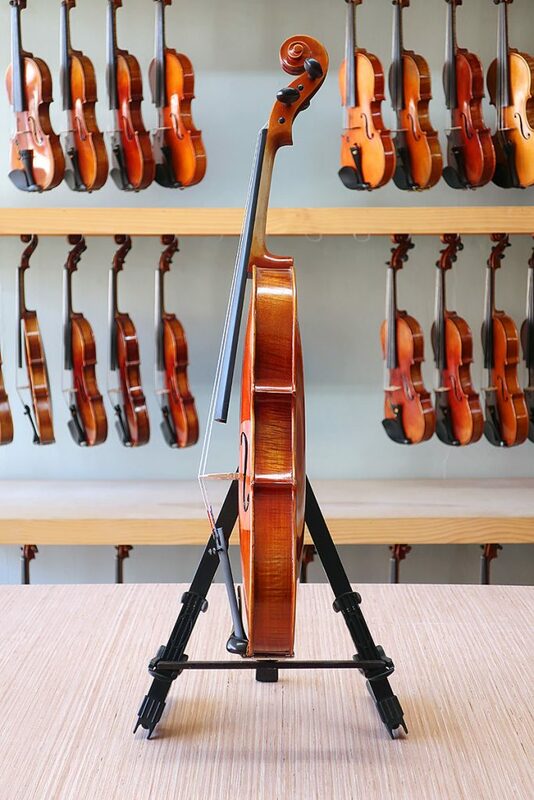 We are a locally owned, full-service viola store located right here in Maplewood St. Louis. 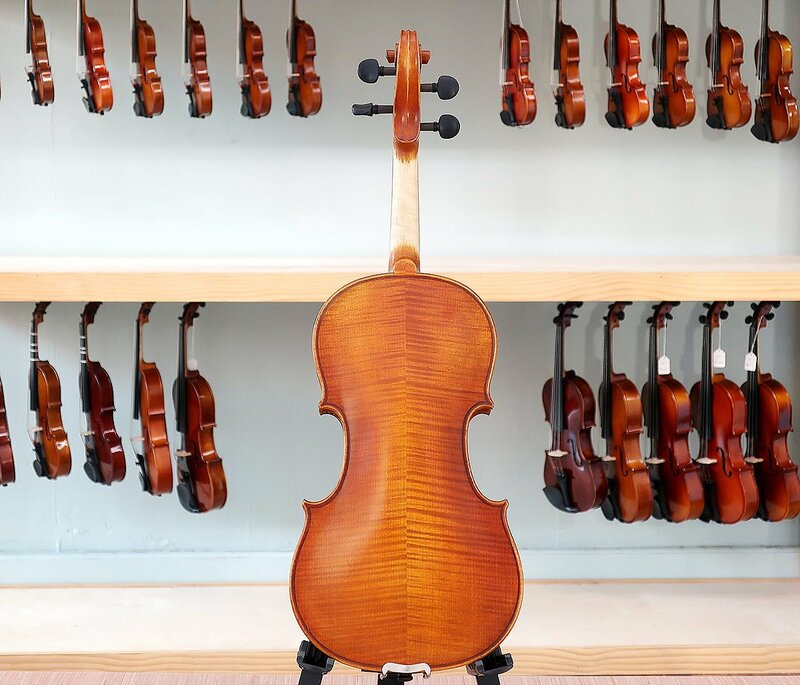 None of us are paid commission when an instrument is sold or rented. 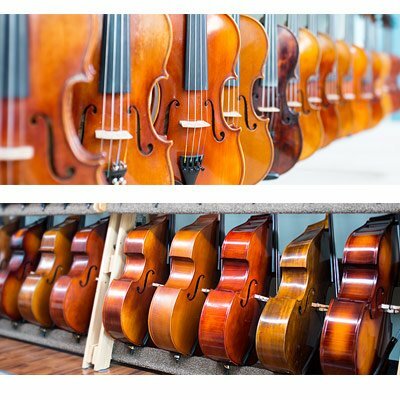 While this page is about violas that are available for purchase, in some situations it actually makes better sense for you to first rent and possibly later to buy, a process made all the easier because you can apply 100% of the rent towards buying the instrument. 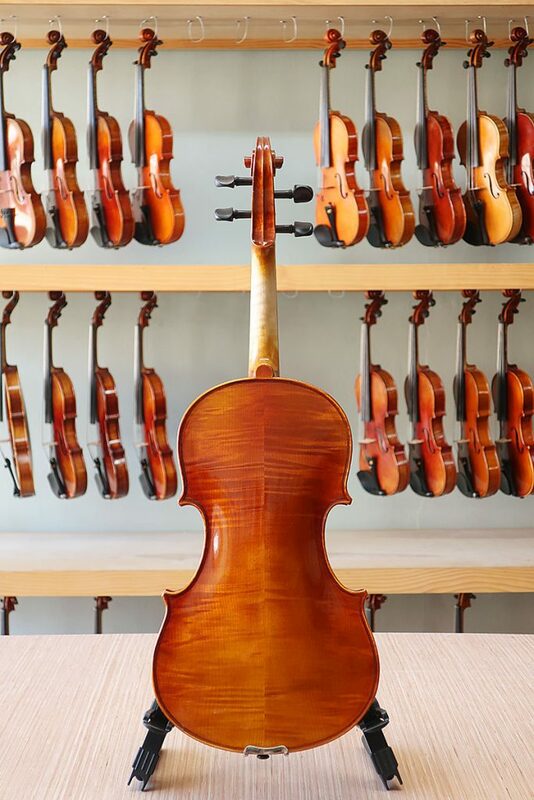 Those of us who own Top Notch Violins previously worked at a different St. Louis music store — a store owned by an out-of-state businessman, and, a store that only carries one brand of violas. 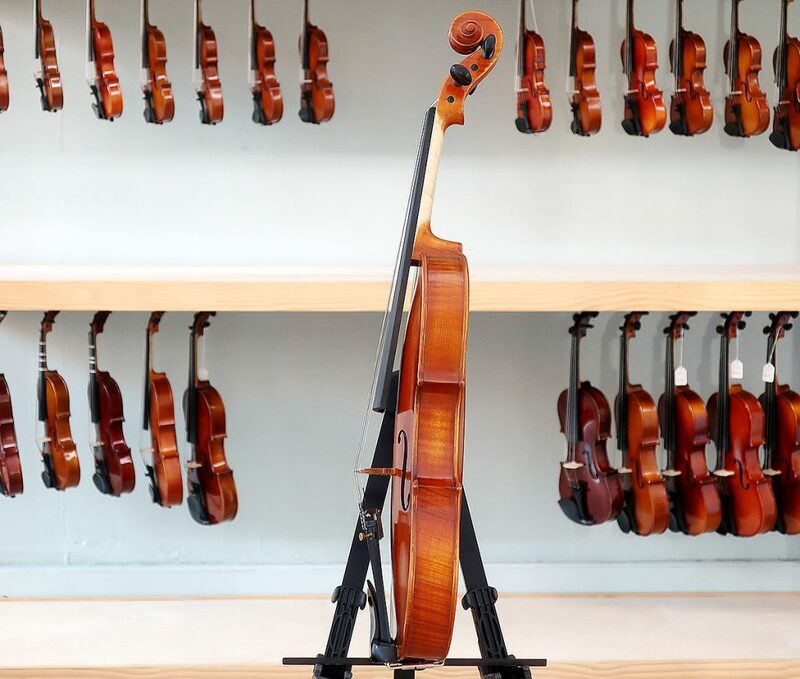 With our various backgrounds in music (performance, music education, and luthierie), over time we came to realize that carrying only one brand of instruments did not provide a good range of options for our clients. 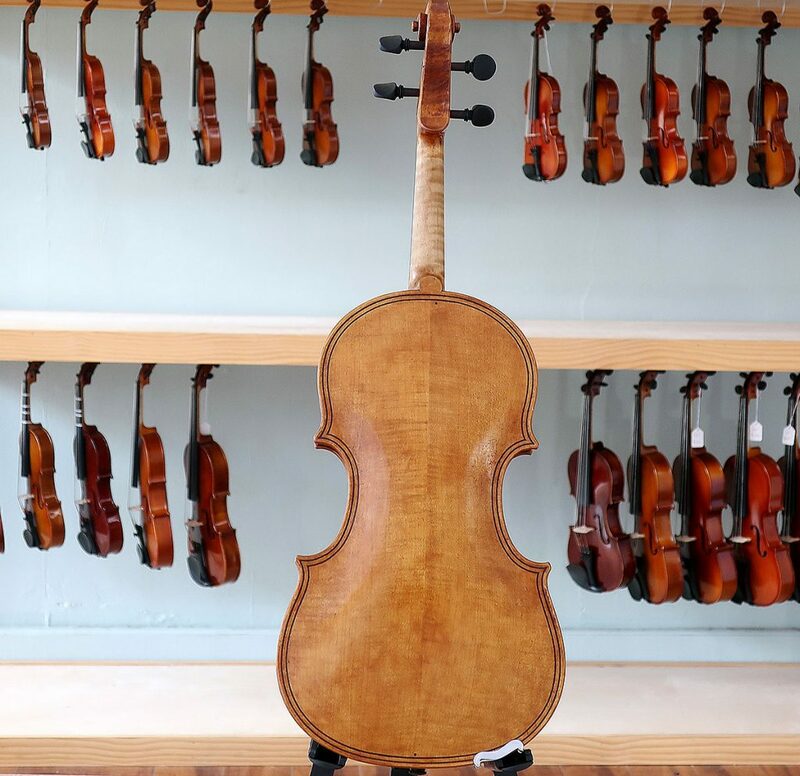 That’s why, when we opened Top Notch in 2014, we knew we needed to carry more more than one line of violas – and those product lines are featured on this page. Our Maplewood store has our full selection of inventory. Feel free to stop by, or contact us if you have any questions. Guess what? We cannot answer those questions until we first get to know you. Tell us about yourself, your musical experience, and your goals for the future. 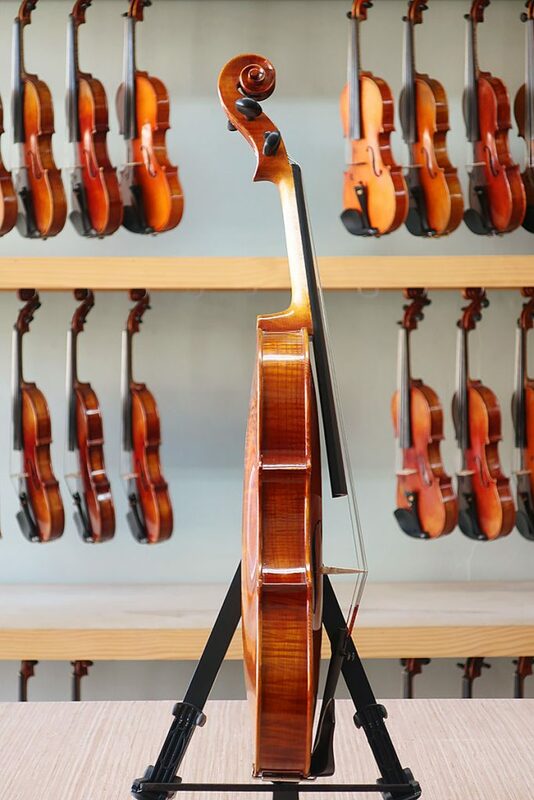 That’s when we can help you discover exactly which viola is right for you. These are great starter violas. 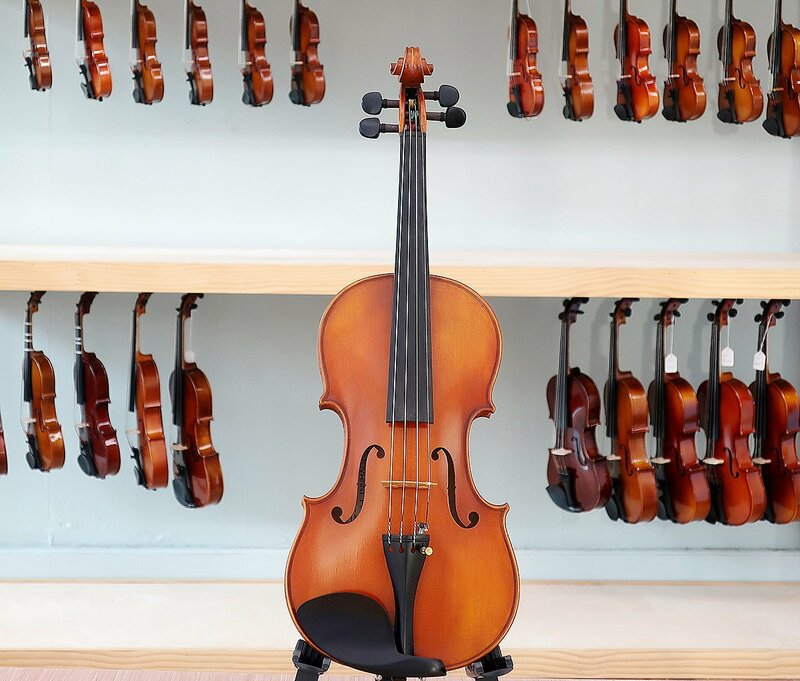 We knew when we opened our doors that we didn’t want to carry “average” student instruments – we’ve repaired and patched up too many of the poor-quality ones that already saturate the market. We wanted something that was affordable and sounded good. Made from thoroughly seasoned tone woods, our Top Notch 1000 and 1500 violas are solid instruments that are pleasing to both eye and ear, featuring modesty flamed maple on the backs and sides with carefully carved spruce tops for superior tone. The finish is an attractive dark reddish brown. Inlaid purling, quality ebony, premium components, and in-house setup/adjustment contribute to the playability and longevity of these instruments. $450-$700. Stop by our Maplewood store to demo and purchase. $14~$17/month or $170~$200/year. Rent online or in store. More info. 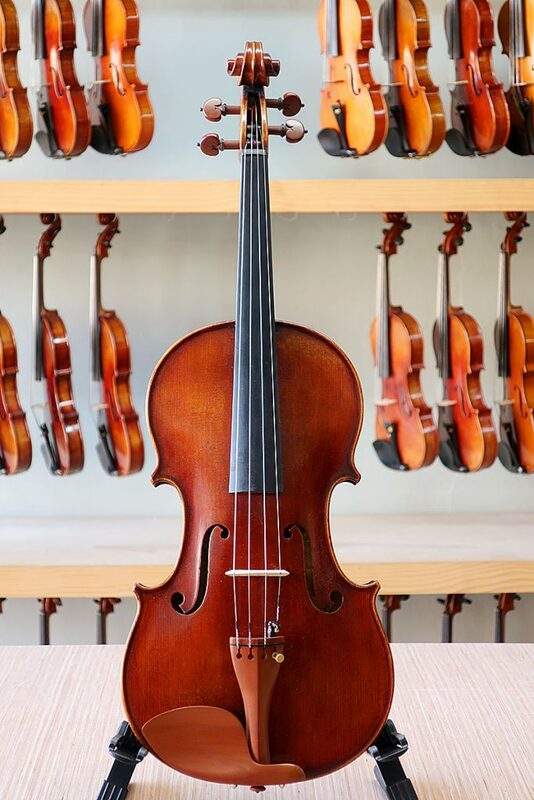 An affordable and pleasing viola that reflects Old World craftsmanship and quality, our Top Notch 2000 and 2500 models offer a handsomely flamed instrument. These instruments are solid carved from seasoned tonewoods, have inlaid purfling, high quality ebony fittings, shaded reddish brown finish, a Wittner Ultra tailpiece and our in house set up and adjustment. 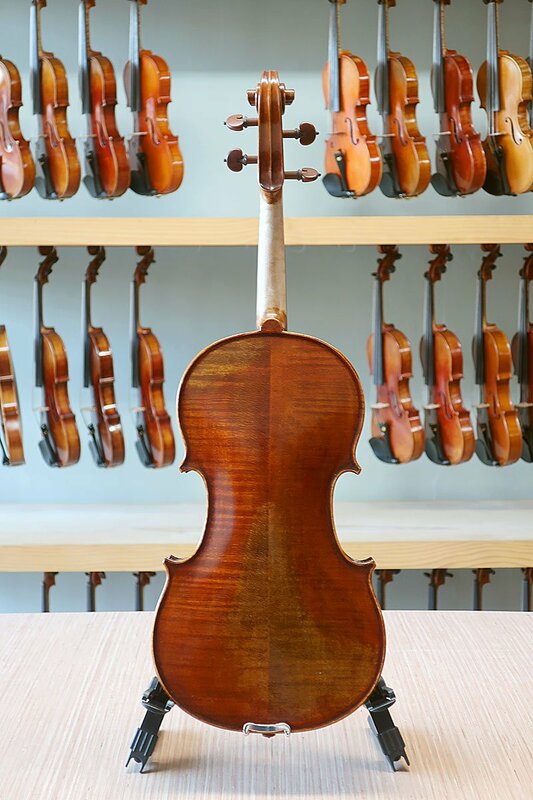 The result is a great step up for a progressing viola player that is easy to play and has superior performance. $1000-$1400. Stop by our Maplewood store to demo and purchase. $25/month or $300/year. Rent online or in store. More info. Our Top Notch series 3000 and 3500 level violas are hand-crafted from hard woods that are aged more than 5 years. 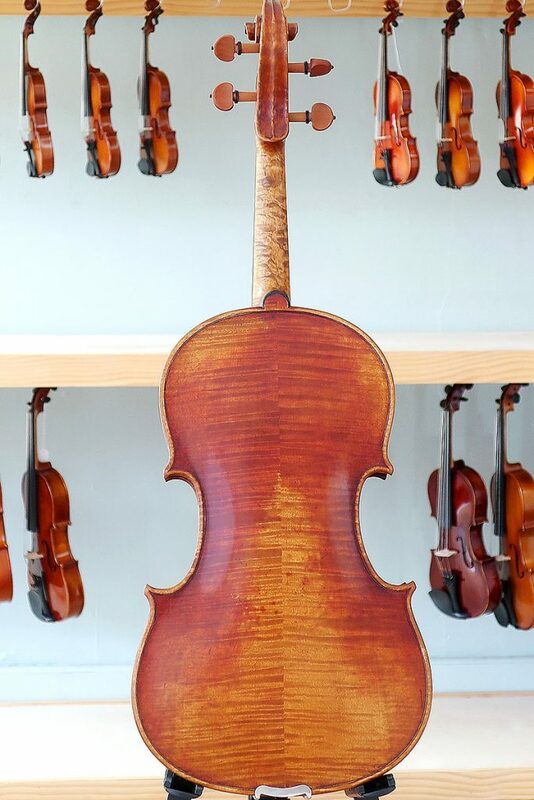 The back and sides are maple while the top is spruce. 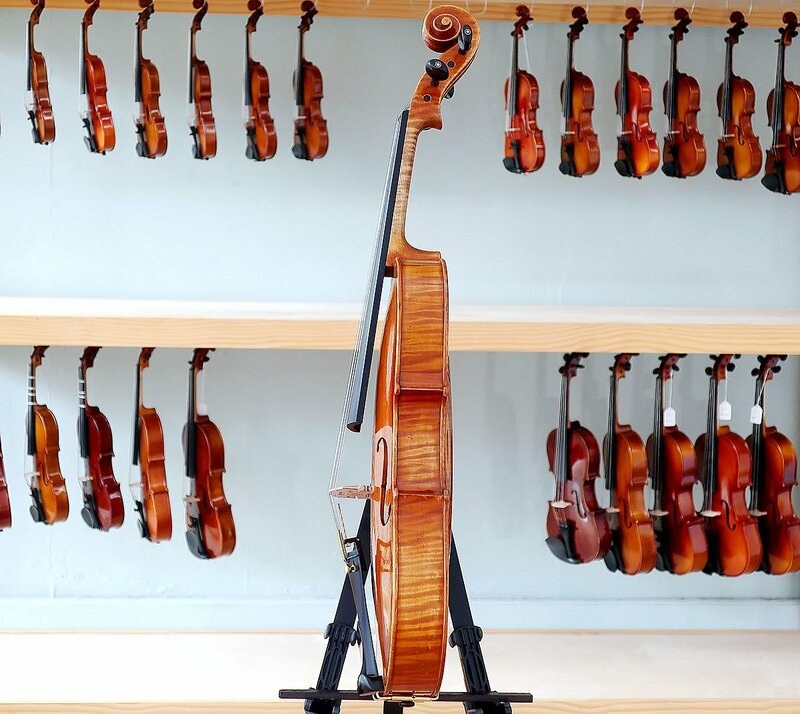 Each instrument combines fine craftsmanship and attractively figured seasoned tonewoods for an outstanding instrument in all aspects, from visual beauty and stability to tonal performance. The lightly antiqued amber brown varnish over a golden ground brings out the beauty of the woods. Careful graduation of the plates yields a high quality sound. 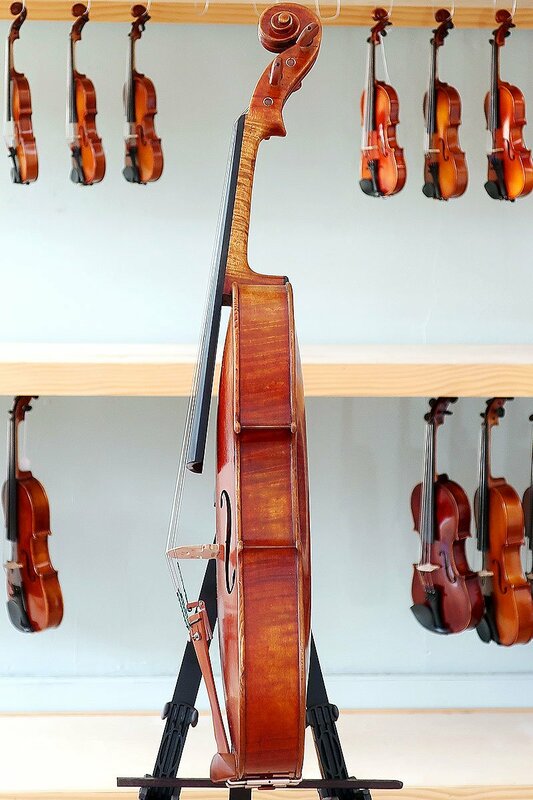 Carved boxwood pegs, chinrest and tailpiece ensures ease of tuning and superior craftsmanship for advancing players. $1600-$2600. Stop by our Maplewood store to demo and purchase. $400/year. Rent online or in store. More info. Have a question? The only way we can help you discover the perfect instrument for you is to get to know you. Stop by our Maplewood store, or contact us via our web site. 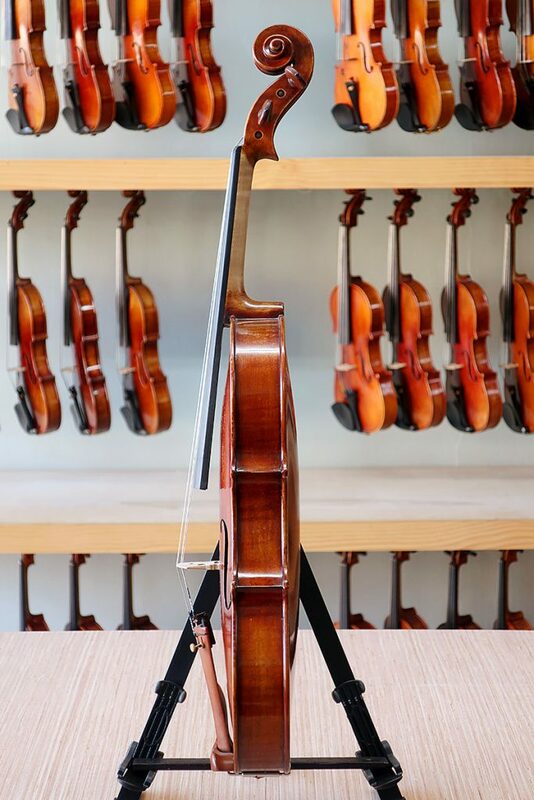 We can help you discover the joy and passion a viola can add to your life! 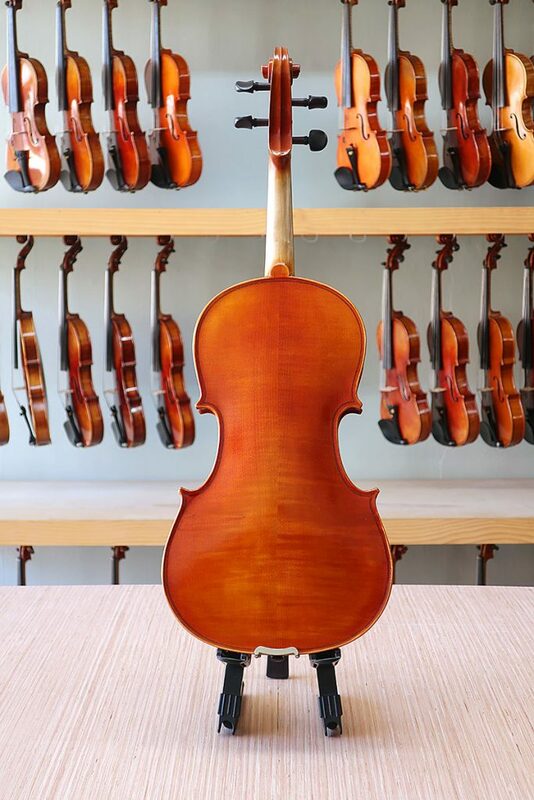 Our series 4000 and 4500 violas are hand-crafted under the direct supervision of a master luthier. They feature the highest quality most select stunningly flamed 10-year-old maple backs and straight medium-grain spruce tops. A beautifully antiqued French-style golden colored oil varnish enhances the tonal quality of these instruments. Great attention to detail is made in graduating the interior to allow the instrument a full tonal range and strong projection of sound. Each instrument is meticulously calibrated for optimum sound production. Made in Stradivari, Guarneri, Guadagnini forms. Guadagnini pictured. 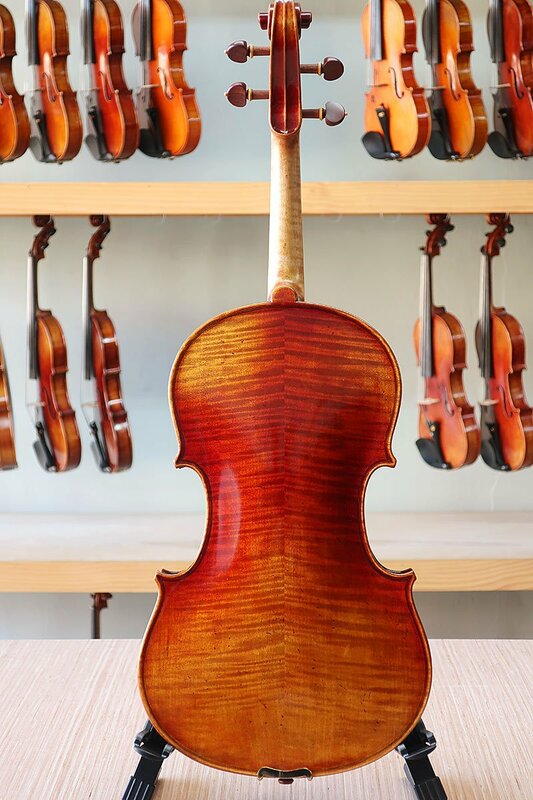 Carrera e Fino Viola’s are beautifully handmade with a well seasoned spruce top and nicely flamed maple back and sides. 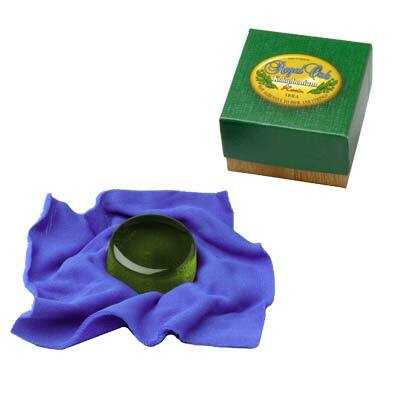 They are lightly antiqued with a hand applied, beautiful spirit varnish. 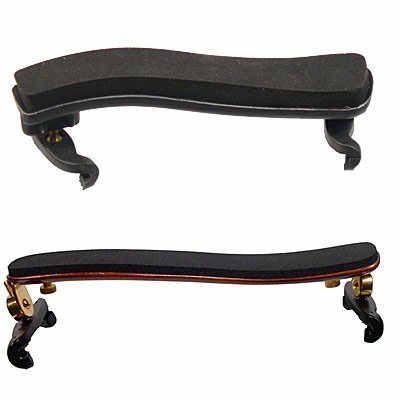 The fingerboard is ebony, with professionally fitted pegs and chinrest. We professionally set these up here in our workshop with an Aubert bridge and Thomastik Dominant Strings. A variety of models are available: Series 5, 6, 8, and 12. $1800-$2800+. Stop by our Maplewood store to demo and purchase. 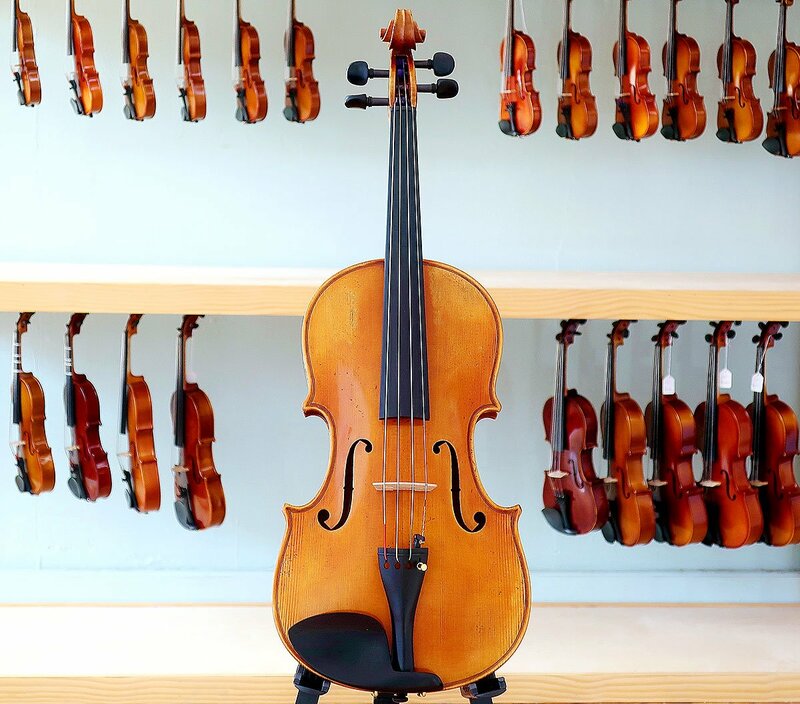 Violas Ted has set up or repaired during his lifetime. Young people Steve taught orchestra to in the Parkway/Rockwood/Webster school districts. Oldest viola that we have repaired in our workshop. Heinrich Gill violas are handcrafted in Germany. 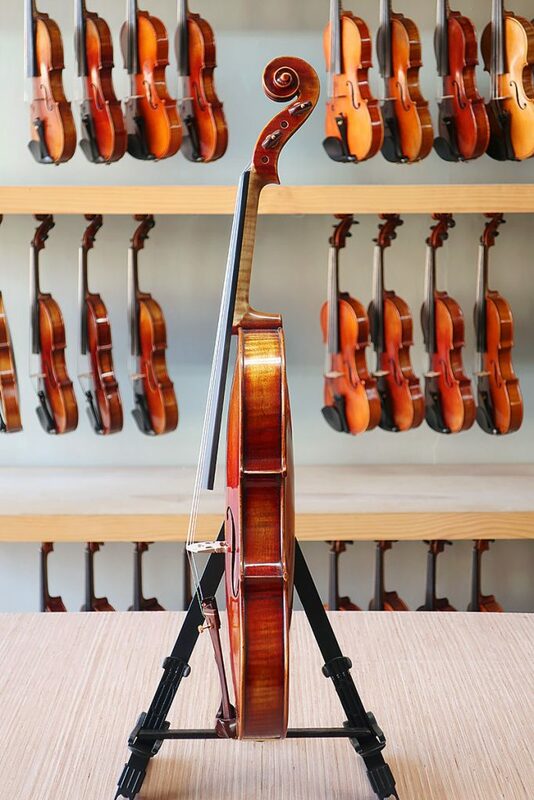 An entire range of instruments are available, and the pictured viola is actually Student Model HGV54. 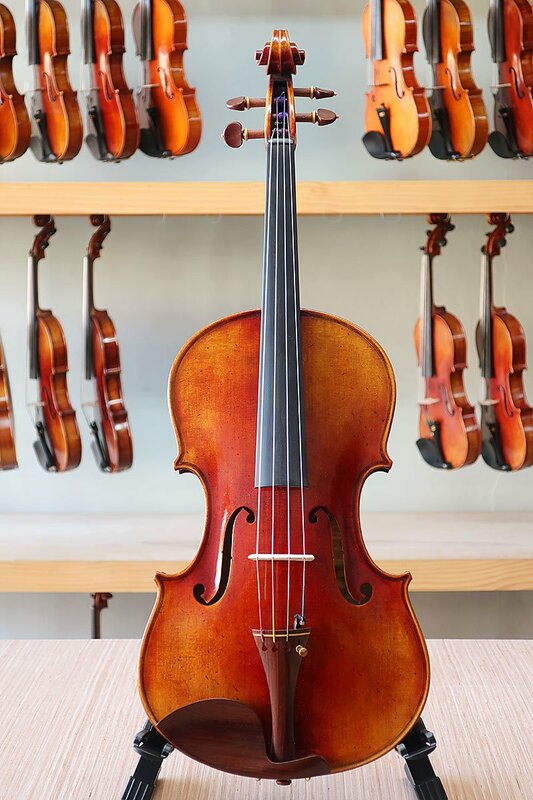 Don’t let the title “student” fool you, though – this is one of the highest-quality student violas currently on the market. 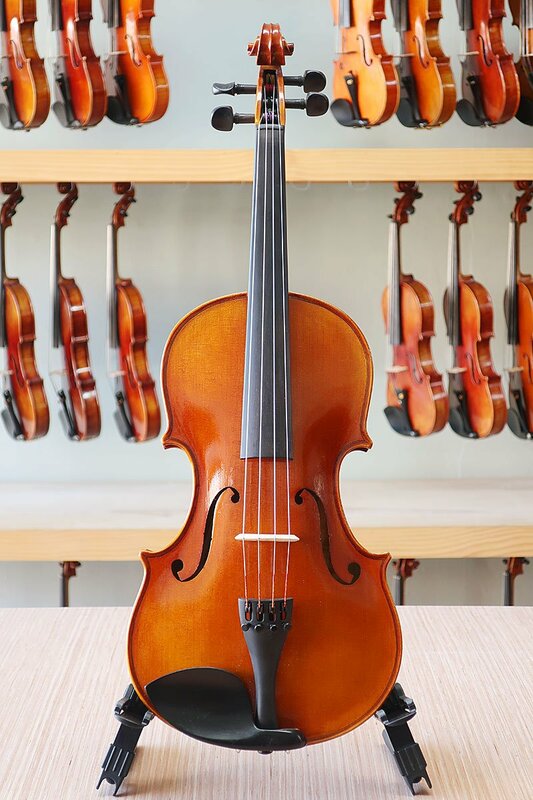 Crafted from select aged tonewoods, these violas are responsive and offer forgiving playability with great tone. When we opened our doors in 2014 we knew that we didn’t want to carry “run of the mill” student violas – hence, the Heinrich Gill Student Model HGV54. 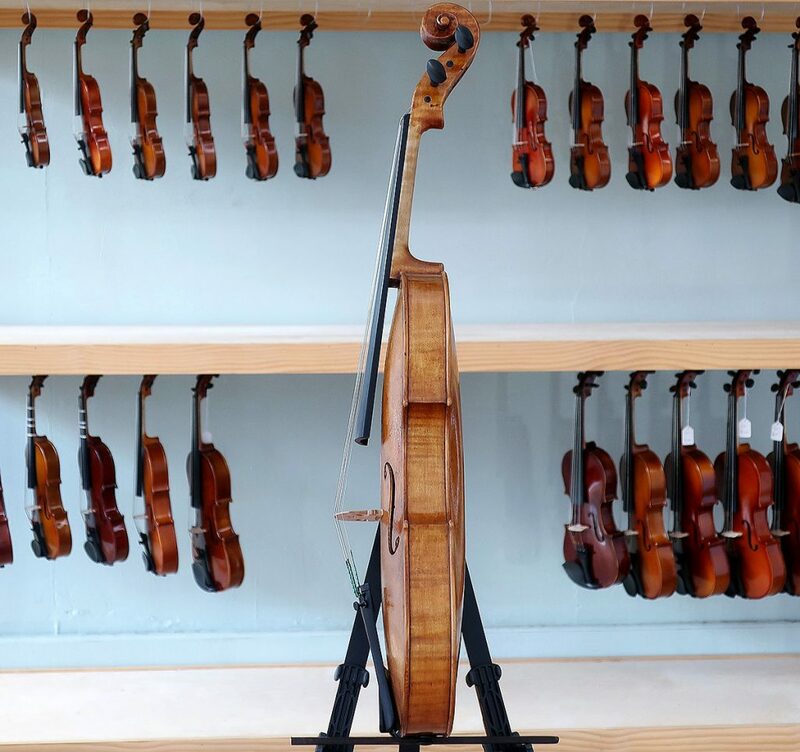 Other violas from Heinrich Gill include the Lemans, Monza, X-7, and X-5 violins. $2400-$4800. Stop by our Maplewood store to demo and purchase. 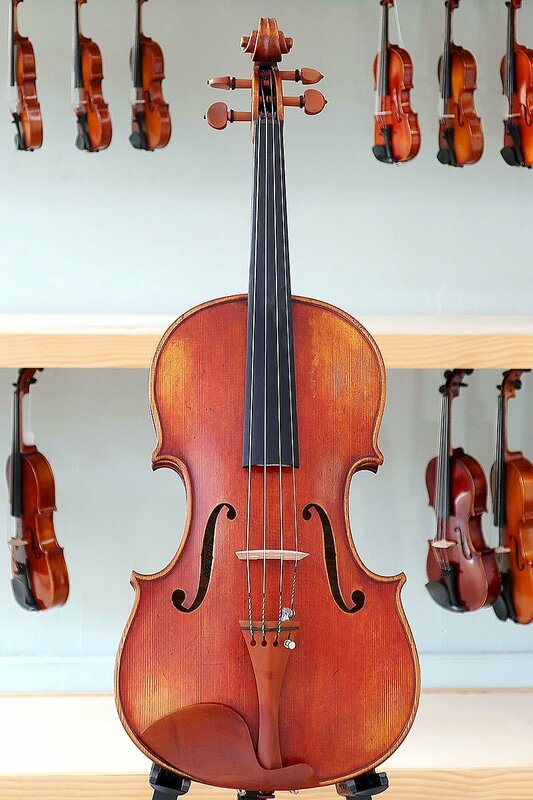 We have a selection of beautiful consignment violas available. 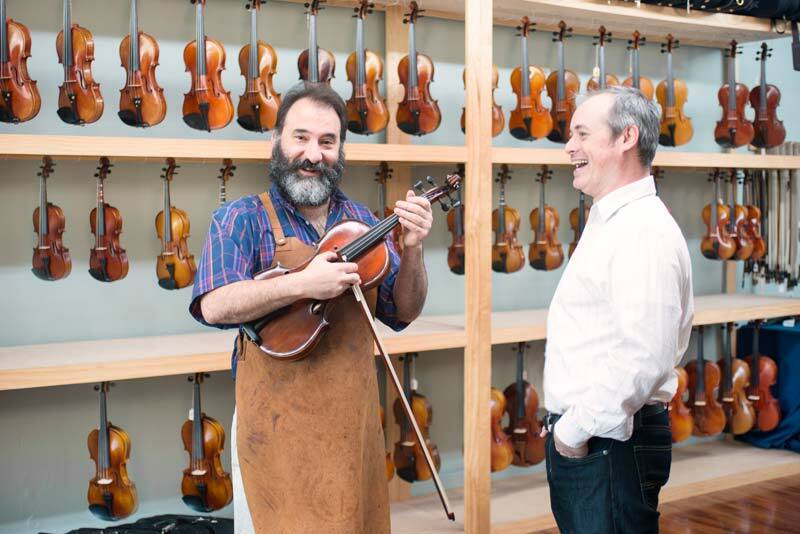 The viola featured in the photos is by Luthier Shaun Fosdick, who lives right here in St. Louis, and creates amazing violas. All of his violas feature an aged maple back and sides with a spruce top. 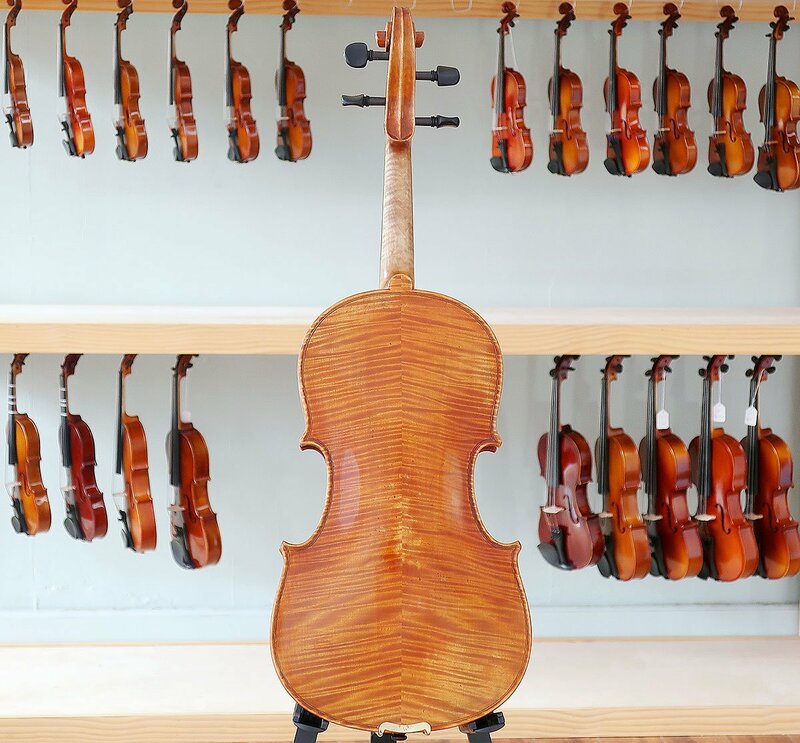 The instruments are beautifully flamed and hand-antiqued with a gorgeous varnish. 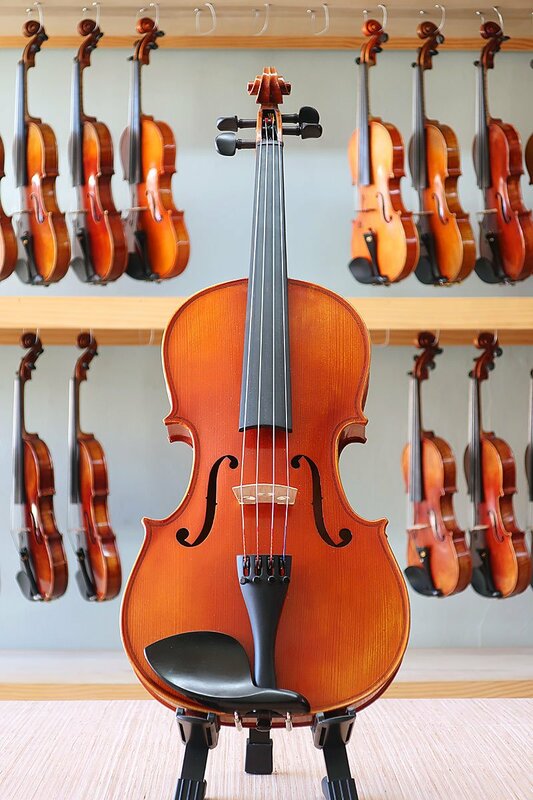 Stop by our store to view our selection of currently available consignment violas. $4000. Stop by our Maplewood store to demo and purchase. 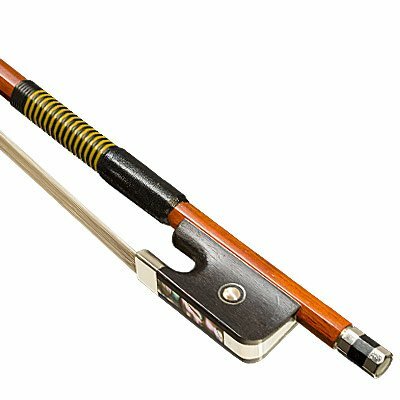 We carry a full line of viola bows, from composite bows for beginners all the way up to high-end hand-crafted wood bows. 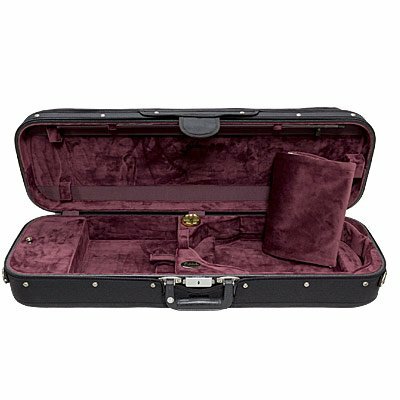 While every viola includes a case, we do stock a selection of viola cases if you would like a different, or upgraded, case. 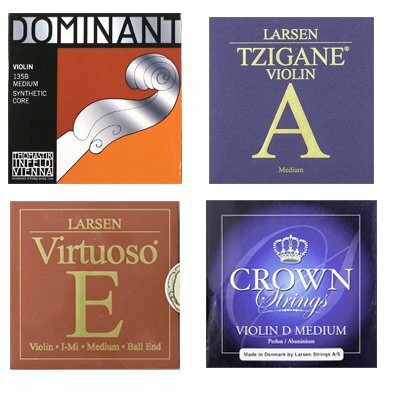 Replacement strings, from Thomastik-Infeld to D’Addario – and more! We can also assist with installing your new strings if you need any help. Find the perfect shoulder rest by trying out various shoulder rests in our store (something you can’t do when buying from Amazon). 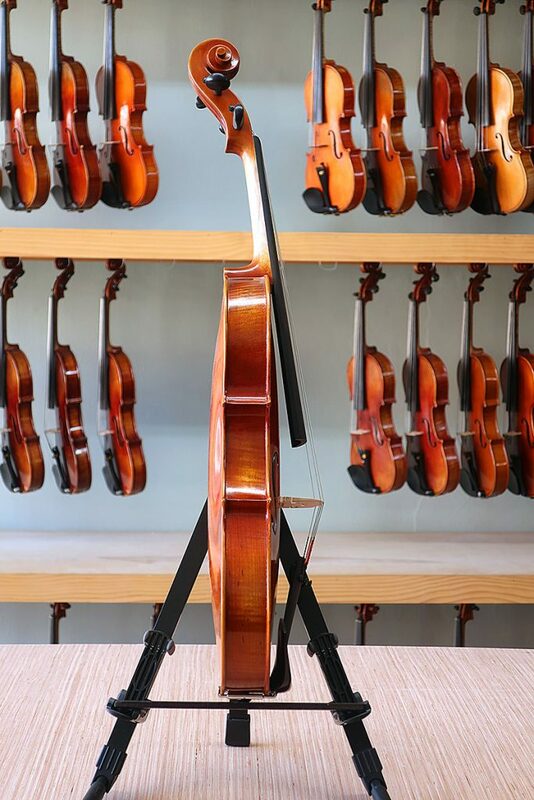 Return to the “all instruments” page (which links to our violins, cellos, and upright basses).